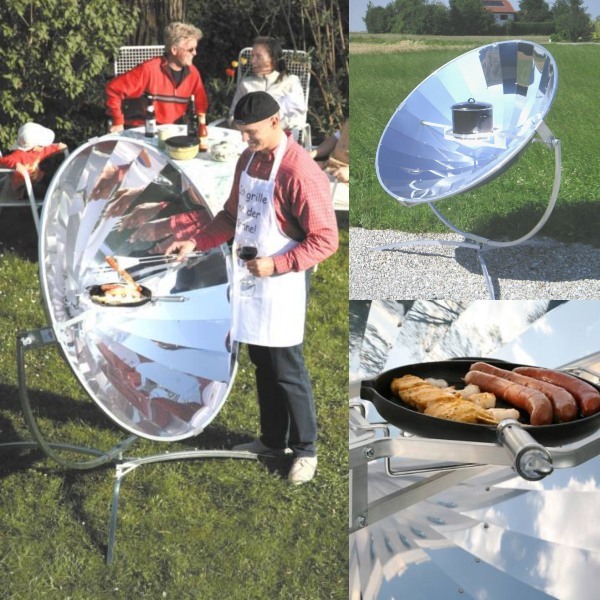 Meet the Sun & Ice Premium14 Solar Cooker: a high-end device that lets you cook with only sunlight. 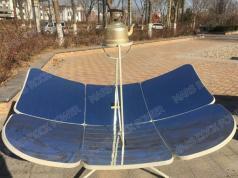 It has a weatherproof reflecting surface and can be assembled/disassembled easily. The cooker needs realignment only every 25 minutes. 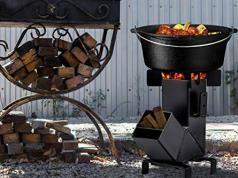 The Premium14 cooker has a 56″ reflector and 900-watt output. It can reach temperatures 840 degrees.